He is easy to work with and is an honest, good guy. Besides being a concrete guy, Dave has a wealth of experience in the other trades. In fact, he was so good that I made him my general contractor so that he could work with the other contractors. He listens and is reliable. Great quality of work, and he was able to work with other contractors. Whatever I asked him to do, he did with a smile on his face. He was terrific. Dave pays attention to detail and gets things done on time. The best things about Kodiak Construction are their honesty, their attention to detail, and their good value. I have recommended them to many friends. They are easy to communicate with, and we make a plan. If anything changes, they always call you back. The communication is always good, and they are very good listeners. They come up with better ways of doing projects. I didn't know how I wanted to do my project, and they came up with ideas that were better than mine that worked and were beautiful. They did concrete and paving both for me. They are licensed and registered when a lot of other contractors aren't. He guarantees his work. The work was really good, and I am very happy with it. Their price was good, the quality of work was good, and everything went as planned. I like the owner, David. He got along with both my wife and I extremely well. He was easy to talk to, and he was very pleasant. I haven't seen a contractor work as well as they have. 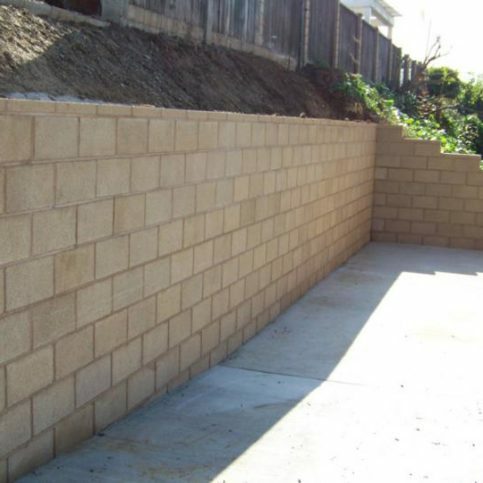 Kodiak Construction provides a wide range of concrete installation and repair services for residential and commercial clients throughout the San Francisco Bay Area and Sacramento. 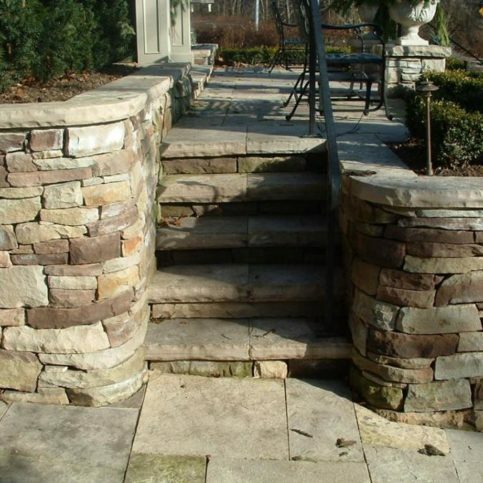 In addition to handling every step of its customers’ patio, walkway and driveway projects, the company has the in-house capabilities to build retaining walls, perform foundation work and more. Kodiak Construction has been providing concrete installation and repair services for residential and commercial clients throughout the East Bay, Napa County, and Marin County since 1995. 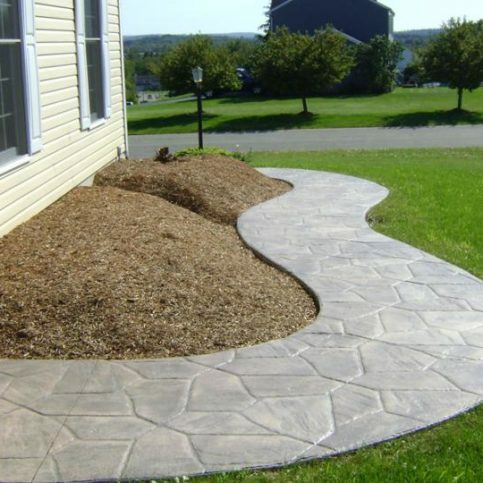 The company has the training and equipment to handle every step of its customers’ patio, walkway, and driveway projects, and it’s also qualified to build retaining walls, perform foundation work, and more. 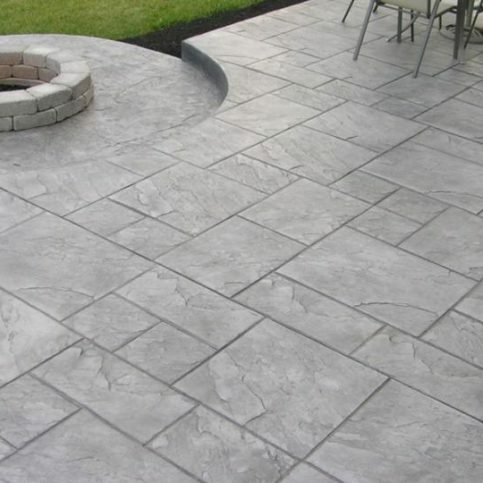 Applications like stamped concrete and colored overlays are popular when it comes to patios, pool decks, interior concrete flooring and countertops, walkways, and driveways. In part, the popularity stems from the affordability of concrete and its reputation as a long-lasting medium. 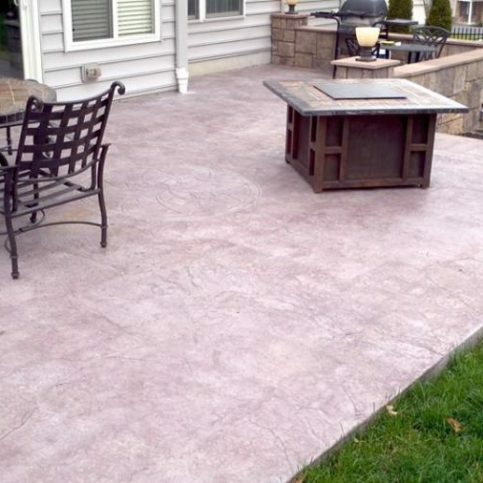 Now, with the ability to customize the color and appearance, homeowners are finding new pride in their concrete surfaces. 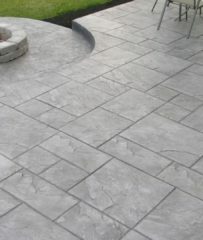 Stamped concrete has long been popular with homeowners. 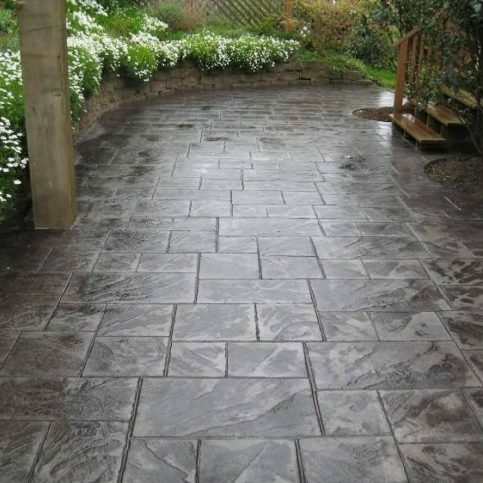 With this method, contractors press a stamp into wet concrete to create a pattern or texture. 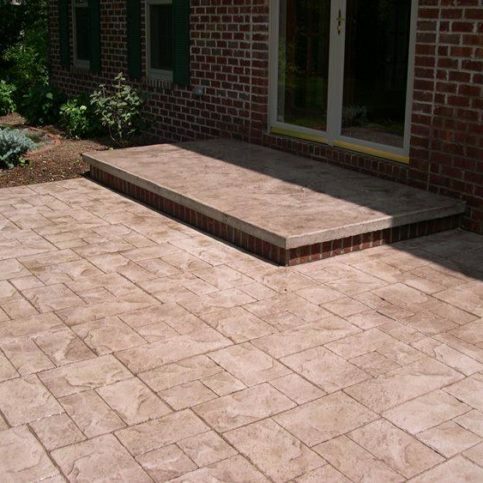 Stamped concrete can resemble natural stone, brick, wood, tile and other patterns. 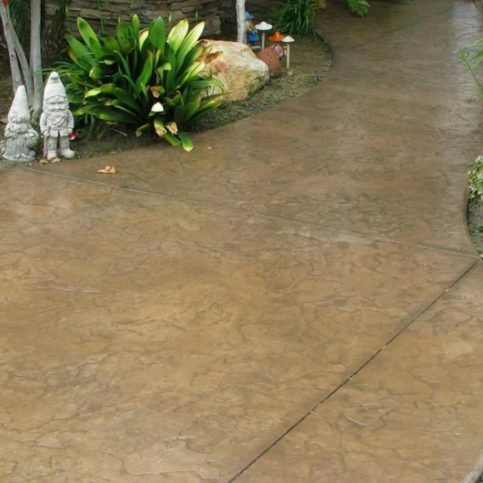 Concrete staining uses acid- or water-based stains to alter the color of the concrete. Colored concrete is dyed before or shortly after it’s poured, which creates a uniform color throughout the surface. Polished concrete is popular for interior floors and countertops. When coupled with added and natural aggregates in concrete, polishing gives a smooth and even shiny finish. 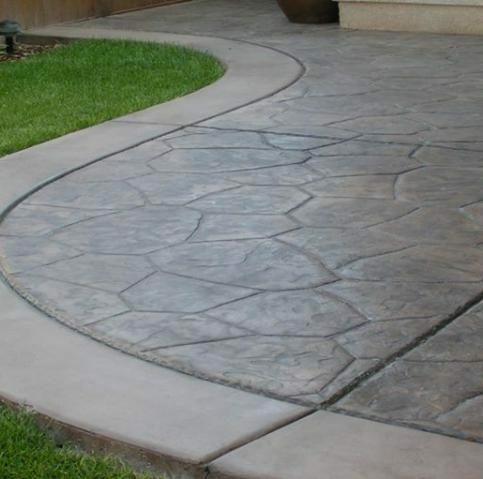 Engraving concrete with saws or specialty grinder blades creates patterns, designs and grooves in the surface. This treatment can make concrete look like brick, cobblestone or natural stone. 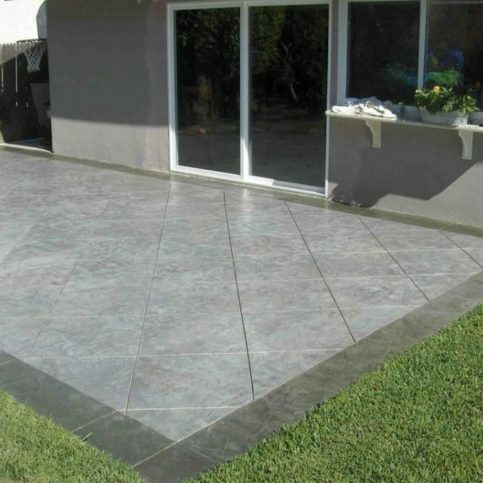 Decorative overlays can be applied to new or existing concrete surfaces. These overlays can include designs, colors, textures or other specialty features. A: Most residential jobs don’t take more than a week to complete, but it depends on a lot of factors. Once we provide the estimate, you’ll know exactly how long your job will take. 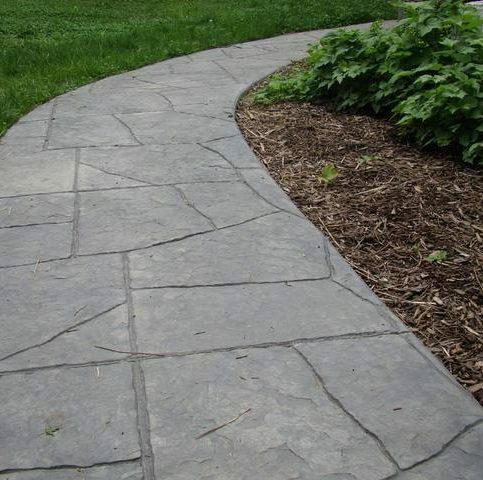 Q: Can you do decorative concrete applications to make my home’s hardscaping stand out? A: Yes. 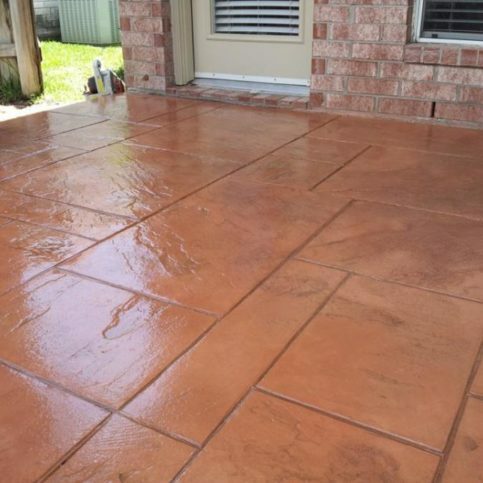 We can provide stamped concrete, broom-finished concrete, colored concrete, colored overlays and concrete stain, designs in control joints, and more. Q: Are you a family-owned and operated company? A: Yes. Our owner, David Figueroa, has more than 40 years of experience in the concrete industry, and he runs the company with his sons, Will and Michael. David and his sons are present on every jobsite, from the initial estimate to the finishing touches. They make sure we’re providing the personalized, high-quality service we’re known for. Q: How much will it cost to complete my concrete project? A: It depends on the extent of the project, but before any work begins, we’ll provide you with a free estimate that includes a written cost. David Figueroa is a lifetime veteran of the construction industry and owner of Kodiak Construction, a Diamond Certified company. He can be reached at (925) 350-6447 or by email. A: Italy. I’ve always wanted to go there. A: Mexican—basically, anything with a tortilla. A: I usually don’t eat breakfast, although sometimes I’ll stop for a donut and coffee. A: I collect gold and silver coins. 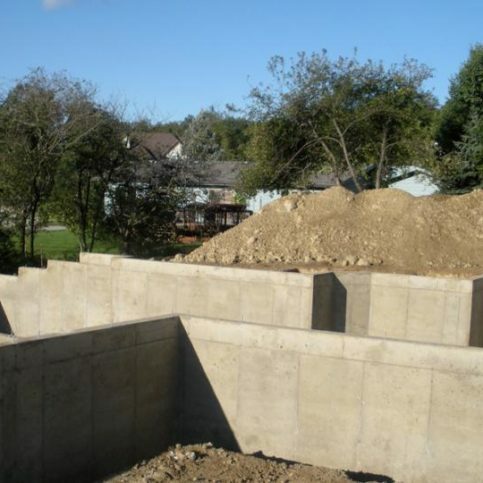 • If the native soil doesn’t provide an adequate subgrade material, a fill alternative like sand, gravel or crushed stone may be necessary to achieve the low compressibility needed to support the concrete installation. • To provide maximum reinforcement, the steel rebar should be placed at center depth of the concrete slab. For example, if the slab is four inches thick, the rebar should be placed at a depth of roughly two inches. 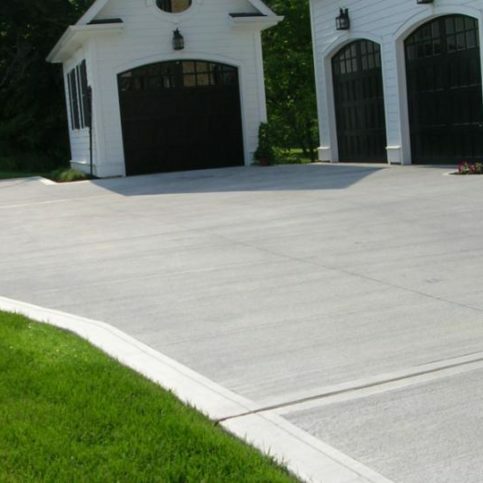 Diamond Certified Expert Contributor, David Figueroa: When you do a concrete driveway or patio, make sure the subbase is compacted, whether it’s just plain soil or it’s base rock. And make sure it’s drained first. And the rebar should be on the middle of the concrete. If it’s four inches thick, should be somewhere between one and a half and two inches into the concrete. And get it back to compact. And if you don’t compact the sub-soil, eventually the water will get on the patio, the driveway and the concrete will tend to sink. Kodiak Construction : Average 9.6 out of 10 based on 80 unique customer surveys of customer satisfaction. They were professional, did a very good job and finished on time. I would say, they were certainly timely and efficient. They got the job done very quickly. They were professional, all the workers were very polite, professional and efficient, very pleased. Everybody down the line from the grunt workers to more sophisticated work, were wonderful. They are responsive, clear and thorough. Timely manner to do the work, proficient and very professional, the workers were great. David, the owner, had bid a couple of other jobs for me and he remembered me. They were timely and did very good job. What I said, they were timely and did a very good job. They know what they're doing, trustworthy, get work done on time and are reasonably priced. The customer service was great as well as the transparency. They did a good job. They did what they said they would do. They were clear, on time and did a good job. He did a very good job and at a fair price. They do good work and I had them come back and do a repair. They came right back the same day and were happy to do it. They do good work for the money. That they are thorough, and they did a good job. They were thorough, neat, completed the work on time and it was very easy to work with them. I have recommended them to several people. Completed on time within budget and went above and beyond to get everything done. They show up on time and do good work. I like the quality of the craftsmanship the most. They are trustworthy, honest, do a good job, are timely, clean up after themselves, and deliver what they say. I had a containment wall I needed built, it wasn't a huge job. I thought they did well. I would recommend them.